Limerick Institute of Technology Library has been short listed in three categories at this year’s Education Awards 2018. The Education Awards recognize, encourage and celebrate excellence in the third level education sector on the island of Ireland from both State and privately funded institutions. 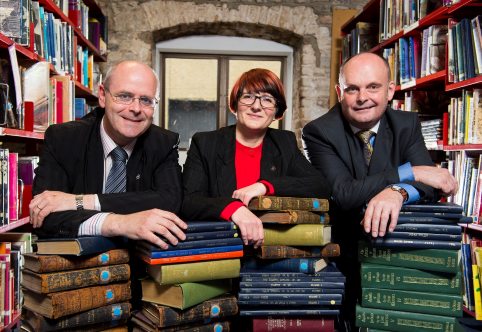 Pictured Right to Left are Jerald Cavanagh, Institute Librarian/Project Leader ERASMUS+, Limerick Institute of Technology; Monika Bukowska, Systems Librarian, Limerick Institute of Technology and Padraig Kirby, Research, Development and Innovation Project Officer/Project Coordinator ERASMUS+, Limerick Institute of Technology.